The perfect playground for young and old, and venue to a number of extraordinary events. 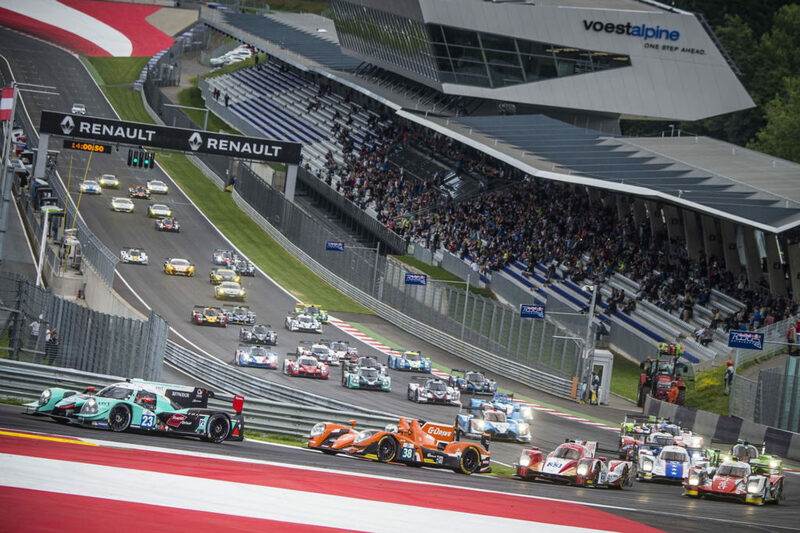 You can take a lap around the ring yourself, or leave it to the professionals: The Red Bull Ring racing circuit hosts the Formula 1, Moto GP, Truck Race Trophy, DTM, and many more world class events. 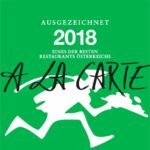 Enjoy the peace and quiet of the Knappenwirt after a great day at the ring: The Knappenwirt is close enough for convenience, but far enough away for a quiet night’s sleep. Enjoy a different kind of spa day. At the Aqualux Thermal baths in Fohnsdorf, a whole new experience awaits you. There’s excitement for everyone in the “Family and Fun” area, and blissful peace for those who seek it in the VitaDome sauna and relaxation area. Next to the hotel, you’ll find an 18-hole mini-golf course. 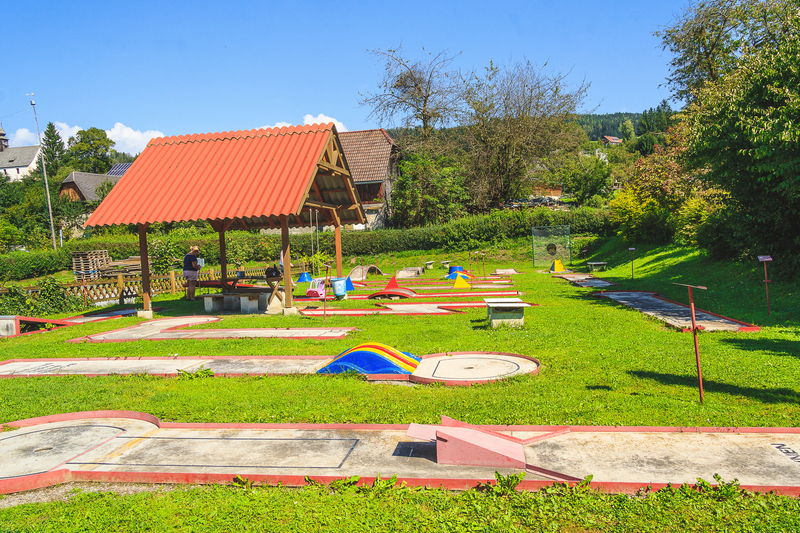 Sunny and well-groomed, the mini-golf course is perfect for the whole family. It takes a mixture of skill and creativity to complete one round, which consists of 18 holes. The Knappenwirt is surrounded by opportunities to get out in the mountains, whether you hike or mountain bike to the top. The Zirbitzkogel-Grebenzen Nature Park offers a unique environment, where you can find both relaxation and adventure. Discover the weird and wonderful world of rare plants and animals at the Zirbitzkogel-Grebenzen Nature Park. 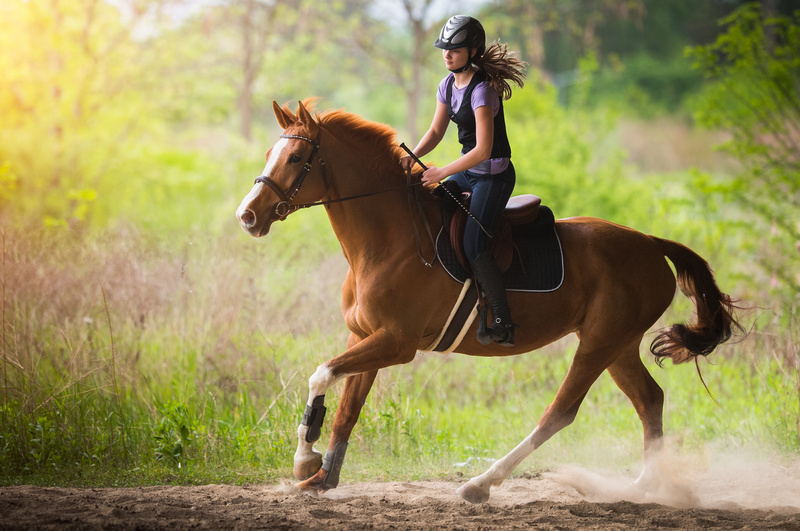 Take advantage of your beautiful surroundings, and book a trail ride at one of the nearby stables. You may find yourself riding not just a horse or a pony, but a donkey, or a llama. Enjoy a memorable day with family and friends. Is it the height, the speed, or the views that are making your heart race? It could be all three. Whether you explore the Grebenzen-St. Lamprecht ski area nearby, or visit the farther Murtal ski region, there’s something for everyone to enjoy. The Murtal Visitors Card opens doors for you all around the region. Stay in the Murtal region for more than one night, and enjoy amazing offers from nearby businesses: you can find discounts on a day of skiing, or enjoy reduced entry to the thermal baths, saunas, or museums. It doesn’t end there—the Murtal Visitors Card also gets you additional savings from participating local shops and merchants.